This indicator is no longer being updated. The latest data are available in the following indicators - ZR09 and ZR10. The indicator shows the trend in quantities of total nitrogen oxide (NOx) emissions in Slovenia and main source categories. 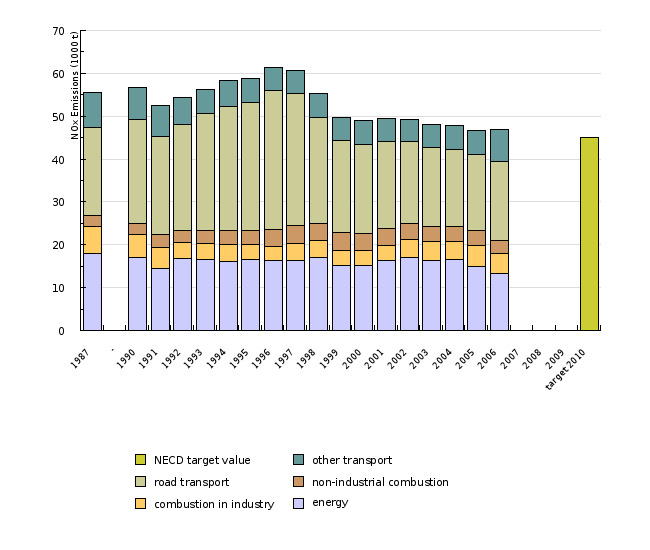 The quantities of emissions are calculated in accordance with the methodology for creating the National Emission Inventory, based on the CORINAIR methodology. The emissions are shown in a time series from 1990 to 2003. 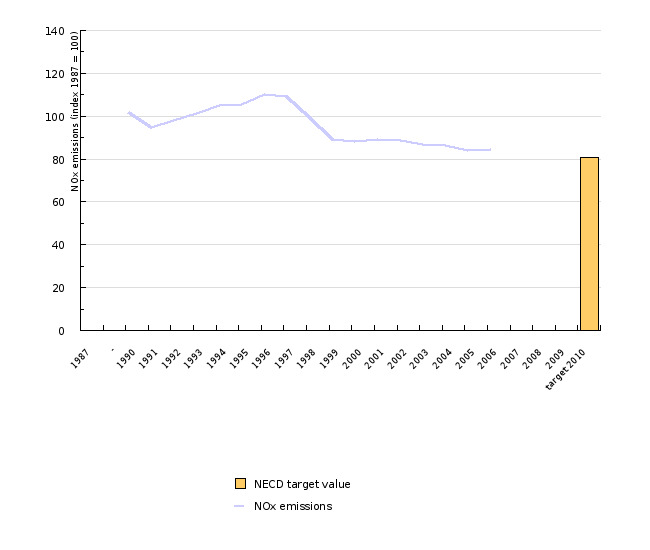 The target is to reduce NOx emissions to the target value 45 000, as required by the Protocol on the Reduction of Acidification, Eutrophication and Ground Ozone, and Directive 2001/81/EC on National Emissions Ceilings for Certain Atmospheric Pollutants (NECD). Air emission management and reduction is also a target of the National Environmental Action Programme. Compared to the situation in 1990, NOx emissions in Slovenia dropped by 9% in 2002. This reduction is the result of an increased portion of vehicles with catalytic converters. With the 56% share of NOx emissions, road traffic remains the principal source of pollution.